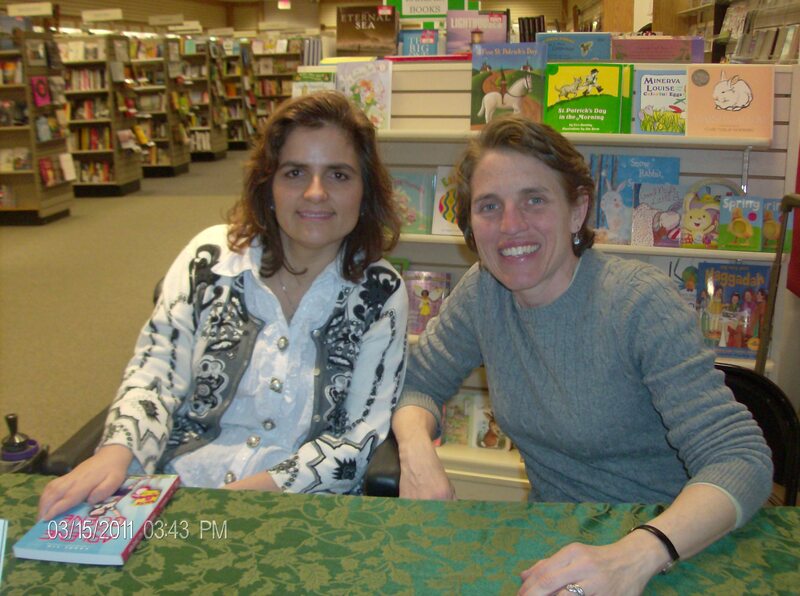 Free Author Presentations for Schools Continue! If you can believe it, we still have over thirty schools on the schedule for us to visit between now and the end of the school year. Amazing! We’ll do a week in my home state of Rhode Island in April, visiting twelve schools from South County to Providence. We’re even going back to my old elementary school, Sherman. Can’t wait! After Rhode Island, we’ll be Illinois, then New York, and finally, Dallas. In between I’ll be going to schools locally in Maryland and Washington, DC. Each school brings a new energy to our School Outreach Program, and every new reader is one more partner in our mission to find a cure for Charcot-Marie-Tooth. I had a great time today at Stonegate Elementary in Colesville, MD. I even met the president and vice-president of the SGA. Arlene would be so excited! The only thing that was disappointing about today’s visit was that no one told me it was Crazy Hair Day! But there was great school spirit in the library, with some pink locks and spikey ‘doos. I hope the students I see like the book, and don’t forget that the sequel, Arlene, the Rebel Queen is now available! And once you’ve read the books, think about posting a review on Amazon, for Arlene On the Scene or Rebel. I know reader reviews always help me choose my next book! …because it’s such an awesome place! 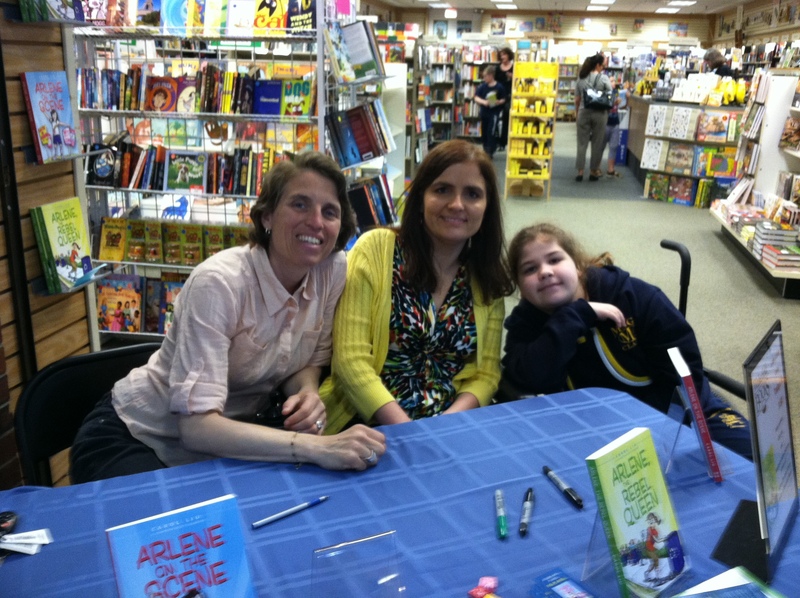 We had the best time bopping from school to school in my home state, talking with kids about the ideas behind Arlene On the Scene and about our mission to support people living with CMT. We had some of the most amazing conversations! At Monsignor Clarke School, where Grace attends, students were very interested in the science of it all. “If they’ve given CMT to mice, then they already have the recipe. They should just follow the steps in reverse, and they’ll get rid of it!” one young woman stated in exasperation. Good point, we thought. But then another student pointed out that when mixing chemicals, one has to be careful of unpredictable reactions, so he advised that the researchers use caution when developing new treatments for CMT. We agreed. Finally, one assertive young woman took the microphone from Carol and made her point quite clearly, “Grace is my friend. I just don’t even see the leg braces anymore because she is just my friend, and that’s it.” We couldn’t have said it better ourselves. 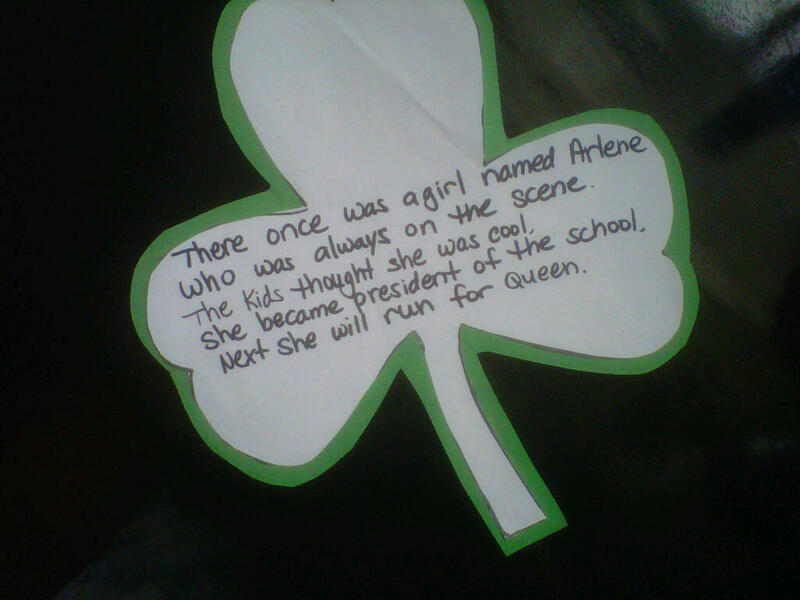 At Kizirian School in Providence, one class wrote a limerick in honor of Arlene. Who was always on the scene. The kids thought she was cool. She became president of the school. Next she will run for Queen. Thanks Kizirian! You were terrific! I was lucky enough to return to my own alma mater, Sherman School. Ah, what great memories. For those of you not from Rhode Island, that white thing on the left is a bubbler. At nearly every stop we made, we heard from brave kids who told a roomful of their peers about their own differences. You impressed us so much with your courage and honesty. Here’s to the girl who showed us her own leg braces, to the kids who told us of their struggles with Attention Deficit Disorder, to the boy who talked about his brother with autism spectrum disorder and the teasing he faces, to the girl with the young cousin who lives with multiple sclerosis. We are fortunate to have had the opportunity to talk with you and hear your stories. I love that metaphor because it reminds me to unlock and open my own mind to differences, whatever they may be, and practice the art of appreciating those differences, not merely accepting or tolerating them.